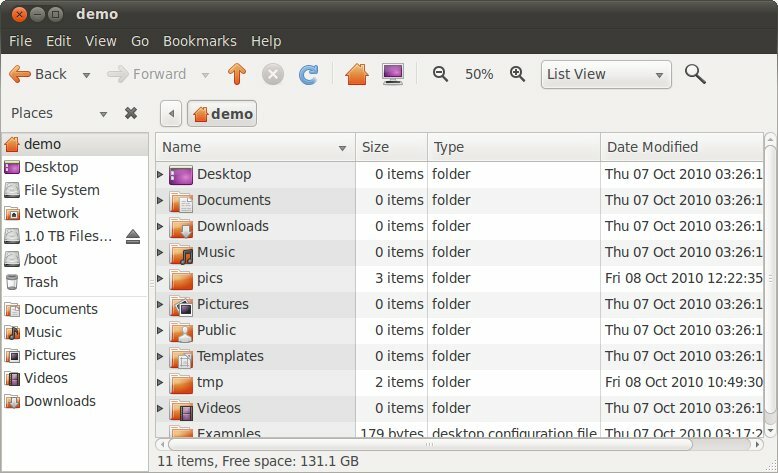 In the previous chapter of Ubuntu Essentials we looked at some of the capabilities of the Nautilus file and folder manager. 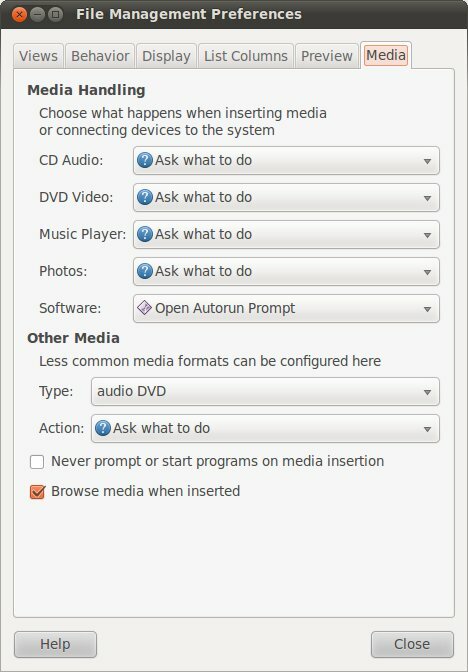 Nautilus also provides a number of options that can be used to configure what information is displayed and how it is displayed. In this chapter we will look at these options. To change the background color or pattern simply select the sample square of your choice and drag and drop it on to an open file manager window. The change will then be immediately applied to the file manager. Colors may be changed by selecting the Colors button and then dragging the desired color to the area of the file manager window and dropping it. That part of the file manager window will then change to reflect the new color choice. By default, Nautilus displays items as icons, as shown in the following figure. Whilst this is a user friendly and intuitive way to present information more detail is often required. 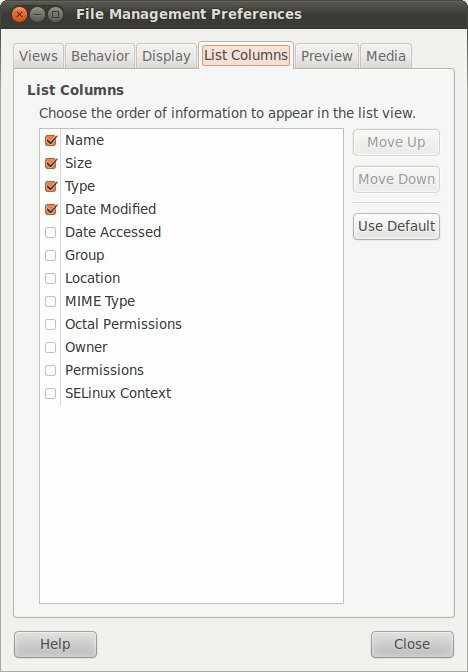 Nautilus provides the option to display files and folders in list form instead of using icons. This format allows additional information such as file size and last access time to be displayed. 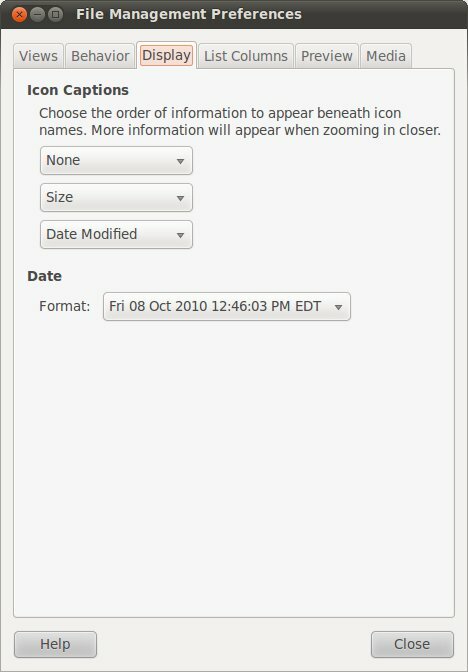 This setting is controlled through the View menu or the drop down menu located in the file manager toolbar. Set the checkboxes next to the columns to be displayed, or move columns to different locations using the Move Up and Move Down buttons. Close the dialogs when the configuration changes are complete. It is also possible to zoom in and out in real-time by pressing the Ctrl and + keys simultaneously (to zoom in) and the Ctrl and - keys to zoom out. One very important thing to note about these settings is that they also impact the appearance of captions on icons on the desktop. As shown in the above figure, the format of the date caption may be changed to one of three different options. The default value, however, is usually acceptable for most people. 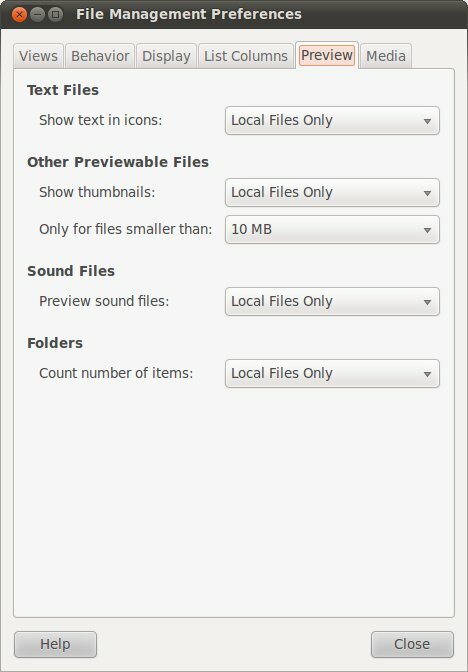 For each thumbnail category you can elect to show thumbnails for all files, local files only (excluding files in a network server) or for no files.